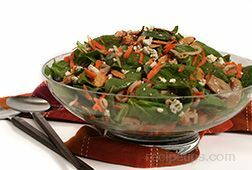 An interesting combination of salad ingredients topped off with a tangy, sweet and sour dressing. 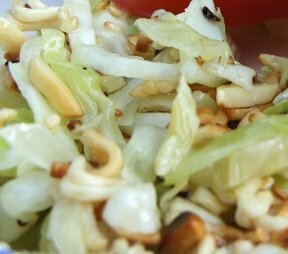 Combine the first five salad ingredients in a large salad bowl. Sprinkle lightly with salt and pepper. Combine the oil, sugar, catsup, vinegar, onion, and Worcestershire in a blender and chill. 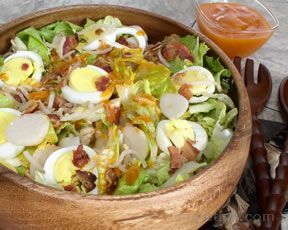 When you are ready to serve, toss the salad with the dressing. 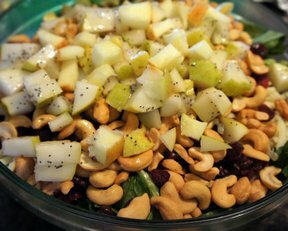 Excess dressing keeps well in the refrigerator for up to one week. Note: the 15 minutes shown under "Cook Time," refers to the preparation of the bacon and the hardboiled egg.